Into Kawaii type cosplay? You will love these. They feature a light pink colour which will give your eyes an amazing, almost zombie-like look. 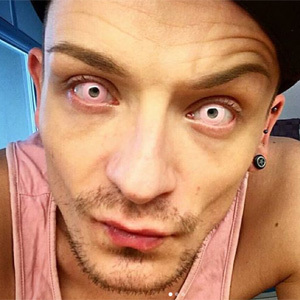 Freaky pink contact lenses that will completely cover your natural eye colour. ColourVue Crazy Barbie Pink contacts are designed for special occasions such as Halloween or costume photo sessions. Their light pink colour will give the impression of almost white eyes which makes these lenses suitable for cute zombie costumes, such as the undead bride, etc. Order a pair now!